I got a surprise package in the mail this afternoon. It was a giant bottle of Joy eau de parfum. I love Joy. It’s been my favorite perfume since I got a bottle of it as a college graduation gift in 1990. My grandmother Bessie, my mother’s mother, wore it, so it reminds me of her, plus I love it for its own sake. I also love the friend who sent it to me. We’ve been friends for aeons — since before my marriage. We’ve been friends for 20 years during which we have stayed more or less in touch. After I finished having cancer, during the months (years?) when I didn’t talk, not to anyone, not at all, for over a year, she forgave me for my silence, and yet she holds me accountable for it. Why did she send me a surprise bottle of perfume? I don’t like the answer. It’s because she is sick. I don’t know how sick she is, although I know the name of her disease and I know that her prognosis is not good. She recently wrote, “I’m only beginning to understand what you went through,” which may explain why she chose this week to send me a bottle of Joy. I immediately opened it up and sprayed it on. 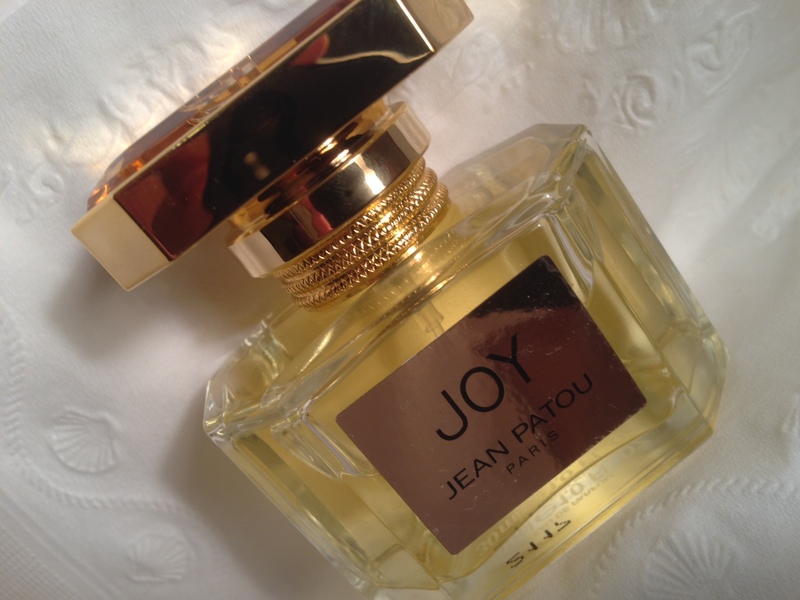 I haven’t had Joy in forever — I gave away all of my perfume when I was going through chemotherapy and radiation. I sprayed it on and breathed deep and with the heady fragrance came a rush of memories, so many, many memories. Joy is the fragrance of my life. The smell of it brought back the memory of who I used to be, before I got cancer, before I found out that what was wrong with me was cancer, and I cried. I cried for the loss of who I was, and I cried for my friend. My wonderful, zany, crazy, unpredictable friend who is suffering so bravely and doing everything she can to cope with an illness so horrid that I can’t bear to think about it, and the best way she has found to cope with it is to send me a bottle of Joy. I’m going to pray for your friend. What a thoughtful gift she gave you.